A top official at the Environmental Protection Agency sent a staff-wide email on Monday assuring employees that individuals responsible for a recent spat of racist messages at agency facilities would be held accountable for their actions. 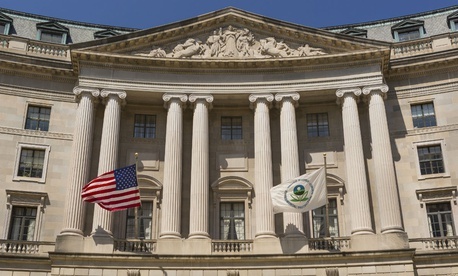 Representatives of the American Federation of Government Employees and the National Treasury Employees Union in an email brought the incidents to the attention of acting EPA Administrator Andrew Wheeler and Principal Assistant Administrator Donna Vizian last week. The union officials alleged that similar messages were posted in OPA in September and October, but management kept it under wraps and never informed employees what steps it was taking to address the situation. That ultimately discouraged two other individuals who received racist messages from disclosing them out of fear of reprisal, the unions said. James also requested managers receive training on how to address similar incidents. By Monday morning, Jackson sent an email addressing both the whiteboard writings and the message left on the Virginia employee’s desk. Jackson said management has referred the matter to the inspector general for further investigation. A spokesman in the IG’s office said the matter is currently "under review by our leadership team." Jackson also solicited employees' help to track down those responsible and hold them accountable, saying anyone with information should report it to their supervisor.